Two ELBS students happy to see each other on the first day of school! Yesterday was the start of the 2012-2013 school year! I’m not sure who was more excited – the faculty, the children, or me. So, I thought that today I would provide you with an update on the Elizabeth Lee Black School. We have 23 classrooms for children ranging in ages from 3 to 21 years. We serve children with developmental delays, autism, intellectual disabilities, hearing impairment, as well as children with multiple disabilities. We have contracts with the Erie School District and IU5 to provide preschool early intervention services. As an Approved Private School, we provide education and related services to those students whose public school districts are unable to serve them appropriately. We have 133 day students from 17 school districts. Our children require an intense level of intervention, so our class size is small, usually eight students and a minimum of one certified special education teacher and two para-educators. We have eight speech/language pathologists, physical physical/occupational therapists, and four behavior specialists to support our students in their classroom setting. 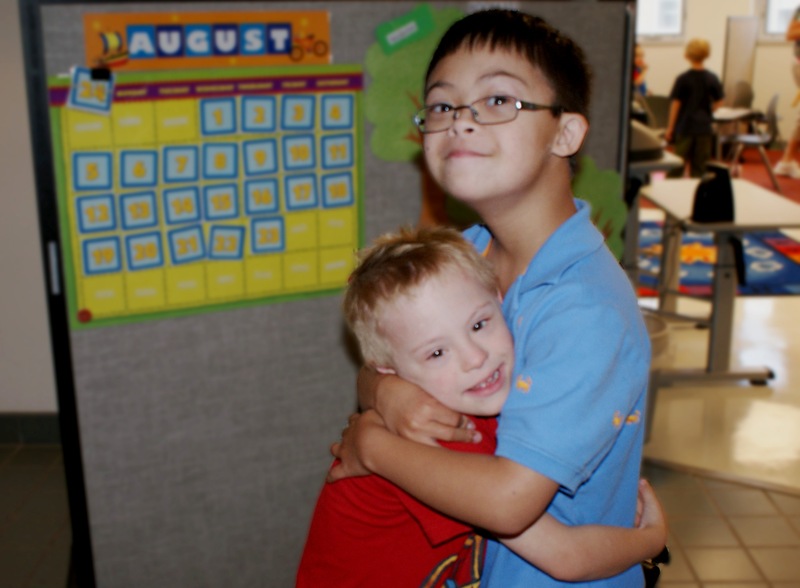 A unique component of our school is the partial hospitalization program for children with intellectual disabilities and a mental health diagnosis. You may think this is a hospital-based program, but it is actually a program in our school. It offers weekly psychiatric support sessions, additional staff with expertise in mental disorders, and treatment meetings every 15 days with psychiatrists, parents and staff. When we announced our technology expansion, the faculty was thrilled! Besides computers in each classroom, all classrooms and therapists have an iPad. In addition, we have four Touch Access Platforms for Interactive Technology, or TAP-its, for our children with significant physical and cognitive challenges. We describe these to our parents as gigantic touch screen computers which can move up and down and tilt to make them more accessible for our students. We anticipate that technology will open new doors for all of our students. In the months ahead, I will be reporting to you as we discover which devices and apps work best with our students. I want to extend a warm welcome back to our faculty, our families, and our students. I encourage our community to learn more about us by visiting our newly designed web page! This entry was posted in Uncategorized and tagged barber institute, barber national institute, erie, iPad, partial hospitalization, school, special needs, tap it, technology. Bookmark the permalink.